Many elementary students feel they cannot see the difference between these two tenses. To help them I have created a rap which explains the grammar and gives some example sentences, two mind maps explaining everything simply and several games to practise this grammar point. I hope you will find it useful. 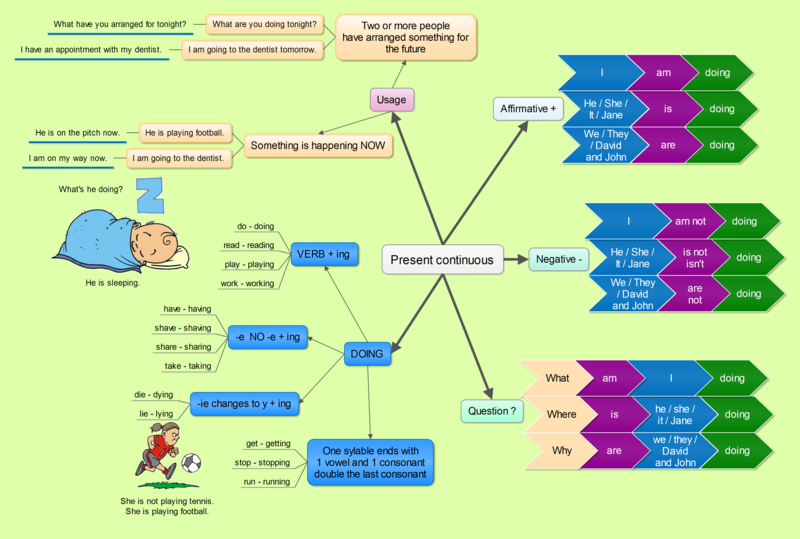 The second mind map has already been published here in the post on Present continuous tense. 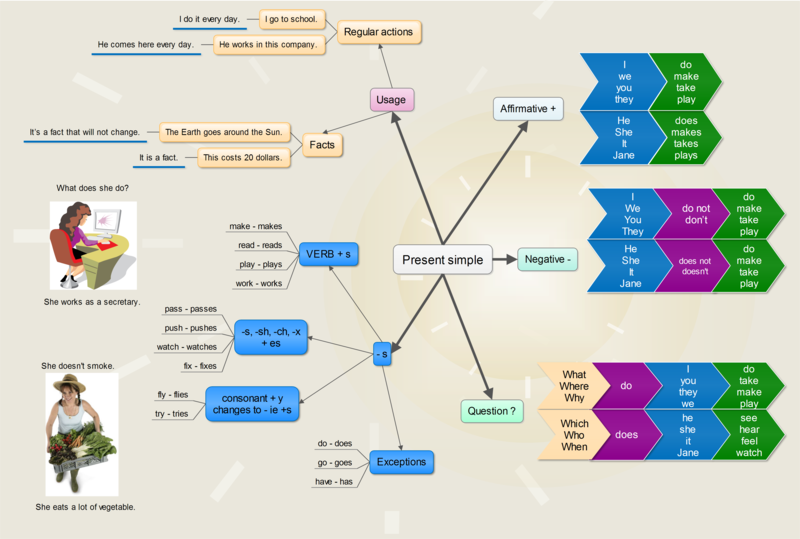 The mind map explains the usage and form of the present continuous tense. Watch the rap and then try to answer the comprehension questions in the game On target. The rap explains the usage of the two tenses and gives some examples. Now it is time to check whether you understand the grammar point. Here is a game called En Garde. Your task is to choose the correct tense and then hit your opponent. Good luck. You can play the game En Garde here. can I copy and supply to the teachers of the school so that it will work as an extra helpful material to teach English to the students? Yes, certainly yes. As long as you do not try to sell it or pretend it has been created by you, you are free to share the printouts of the site. If you will share this on your website, please provide a backlink. Thank you.